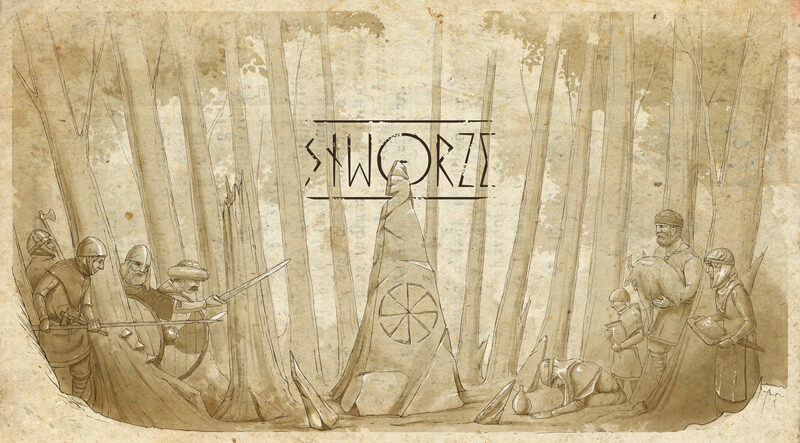 The idea of STWORZE has been in our minds for quite a long time now. We carefully put together a team of people able to feel the charm of folk stories and legends inspired by Slavic mythology. Grzegorz Arabczyk, the author of the game mechanics, and Marcin Adamski, the illustrator, were instantly hooked on the concept and immediately started to work on its development. My favorite subjects in primary school: “Star Trader” and “Deathmaze”. I took my finals in the first edition of “Illuminati” and wrote my MA thesis on “The impact of Blood Bowl upon the progressing social savagery”. Later on, I worked on my PhD in “Battlestar Galactica” and “StarCraft”. In the meantime, I participated in many other “workshops” and “additional classes”. I’ve been playing anywhere and anyhow (but not necessarily anything) I could for over 30 years now. I used to be the chairman of COLLAPS Gdynia Fantasy Club. More recently, I co-organized one of the GRAMY Festival events held in Gdynia. I conceived several board games projects, but none of them was eventually published (I still hope that I didn’t abandon them forever though). All in all, as trivial as it may sound, I need to say that the work on Stworze is the fulfillment of my dreams. Marcin Adamski – the author of all illustrations in STWORZE. A perfectionist, definitely a bit too humble when speaking of his incredible work. Master of Arts of the Faculty of Graphic Arts at the Academy of Fine Arts in Gdańsk. Real enthusiast of historical reenactments. He began his work on STWORZE by studying the topic and consulting the specialists. His deep involvement resulted in the creation of beautiful images, which immediately draw the players into the world of Slavic mythology and the entire magical realm of the game. Looking at the characters and places he created, one cannot wait to enter this charming world and learn more about it through playing.